The DPF1000 Wire Stripping and Twisting Machine will strip many insulations including PVC, PTFE, Teflon, Rubber, for a wide range of wire sizes between 0.8 ~ 5.2mm overall diameter (Approx wire gauge of between 4 ~ 20 AWG). 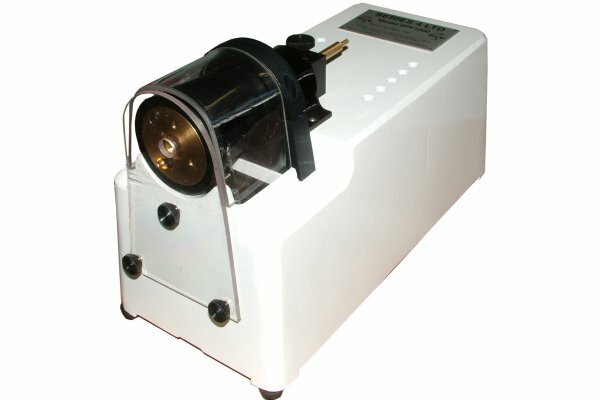 A precision hinged carbide blade is centrifugally operated to produce a precise wire stripping action. 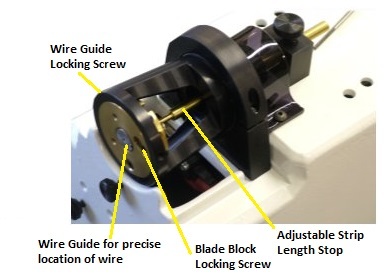 To strip a wire simply insert into the unit and withdraw.Blade setting is locked into place with no chance of adjustment drift or conductor damage. On stranded wires the removal of the insulation slug leaves the strands neatly twisted for termination or soldering. The DPF1000 Wire Strip and Twist Machine is fully guarded for operator protection and includes an automatic motor cut-out if the Stripping Head Guard is inadvertently removed. 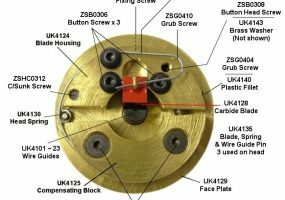 Select a Wire Guide for the correct wire diameter (see wire guide selection chart below) Insert into the wire Stripping Head and lock into place with Locking Screw. 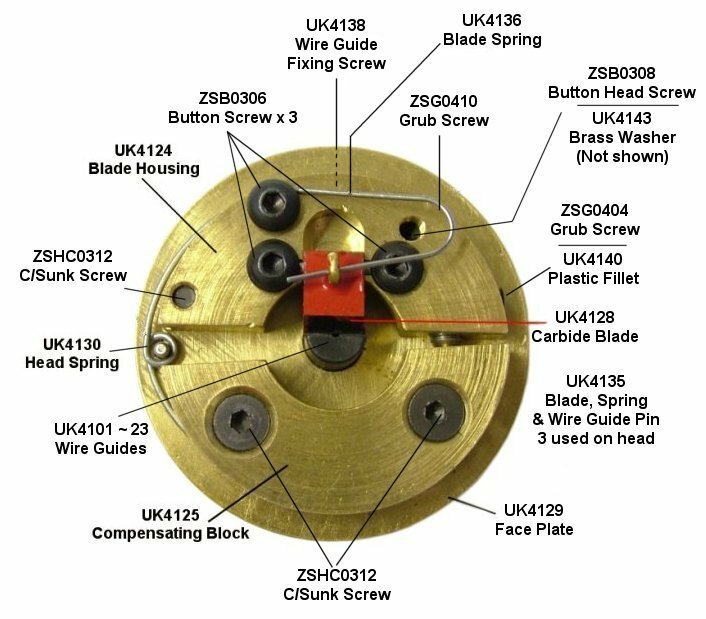 Loosen Blade Block Locking Screw and set blade to conductor thickness.Set Strip Length Stop to required stripping length Insert wire into Stripping Head until it touches the length stop, pause momentarily then withdraw wire. If the blade contacts the conductor(s) or the insulation slug is not removed adjust blade in or out as required and repeat test strip. All adjustments can be made in situ on the machine. Diameter in mm refers to hole size of wire guide - if you have a wire with 3mm O.D. (including insulation) then you would need a wire guide of 3.2mm - Guide Number UK4111. Min Wire Diameter: 0.7mm O.D. Max Wire Diameter: 5.1mm O.D.